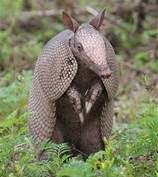 At their worst, armadillos can burrow under foundations and cause structural damage. Less major--but annoying--destruction can be inflicted on landscaping, sprinkler systems, and house trim. 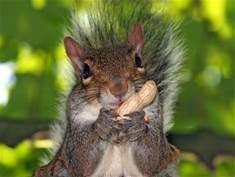 By chewing electrical wire and structural insulation, squirrels harm utility lines, cars, and homes. They are also well-known for destroying tree bark, landscaping, and trim and siding on homes. 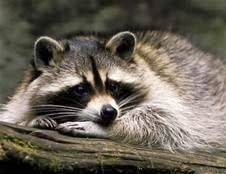 Raccoons usually tip over trash cans, eat garden vegetables, and raid bird feeders. Raccoons plug chimneys, destroy roof shingles, tear ductwork, cause roof leaks from inside the attic, and decimate lawns and gardens. All of these animals can create odor, unhealthy, and unsanitary conditions because of their droppings and nesting behavior. Pet food should be accessible only during feeding times for your pet. At other times--especially at night--bring it inside the house or into an impenetrable place in the garage. Remember that tree limbs are a prime entry vehicle. When trimming limbs, bear in mind that squirrels have been known to jump as far as nine feet. Install a chimney cap or wire over your chimney to prevent entry of raccoons and other pests. Regularly clean up seed droppings from bird feeders. When you hear noises, take action immediately to lessen the likelihood of substantial damage. Identifying the kind of critter is essential to knowing the steps to evicting your houseguests. Remember that the members of the Grove Team have years of experience in dealing with all kinds of problems encountered by home owners. Please call to ask any question you may have about home ownership.